On 6 September Professor Patrick Sutton from the School of Physics and Astronomy delivers the first in the PSE College Lecture Series. 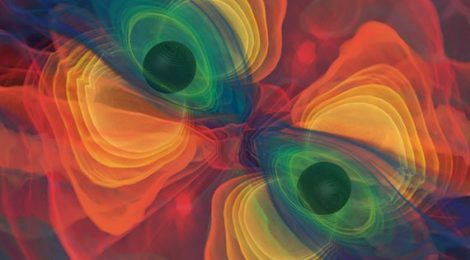 Gravitational waves — ripples in the fabric of spacetime — were one of the first major predictions of Einstein’s theory of gravity, and are the last to be directly measured. These waves are produced by some of the most violent phenomena in the universe, such as collisions of black holes, the explosive deaths of massive stars, and the big bang itself. But they are so fantastically weak that they have only recently been observed, following decades of effort by a worldwide collaboration. I will discuss Cardiff’s role in the discovery of gravitational waves, and how we are using them as a new probe of Nature and its most extreme environments. A drinks reception will take place after the lecture in the VJ Gallery.